AS OPPOSED TO (PP) USED TO SAY THAT TWO THINGS ARE DIFFERENT. BAD-HAIR DAY (NP) A DAY WHEN YOUR HAIR LOOKS BAD AND YOU DO NOT FEEL ATTRACTIVE. BE/GET CAUGHT UP IN SOMETHING (VP) TO BE OR FEEL INVOLVED IN SOMETHING OR OBSESSED. CATCH SOMEONE UNPREPARED (VP) TO DISCOVER SOMEONE IN A STATE IN WHICH THEY ARE NOT PREPARED. DRAW SOMEONE IN (V) TO ATTRACT SOMEONE TO SOMETHING AND MAKE THEM LOOK AT IT CLOSELY. ENDLESS SUPPLY (ADJ+N) A VERY LARGE SUPPLY OF SOMETHING THAT NEVER SEEMS TO END. A FAIR NUMBER OF SOMETHING (NP) QUITE A LOT OF SOMETHING. FEEL STRONGLY ABOUT SOMETHING (VP) TO HAVE A VERY DEFINITE OPINION ABOUT SOMETHING. FLATTERING (ADJ) MAKING YOU LOOK MORE ATTRACTIVE THAN YOU REALLY ARE. FROM THE OUTSET (PP) FROM THE BEGINNING. FROM A SHELTERED BACKGROUND (PP) SOMEONE WITH LITTLE EXPERIENCE, WHO HAS BEEN PROTECTED BY PARENTS. FROM A TECHNICAL POIINT OF VIEW (PP) CONSIDERING THE SKILLS THAT ARE NEEDED FOR SOMETHING. GRIMACE (V) TO MAKE AN EXPRESSION OF PAIN, STRONG DISLIKE ETC. IN WHICH THE FACE IS TWISTED IN AN UGLY WAY. HAVE A GOOD EAR (VP) TO BE GOOD AT HEARING OR REPEATING A PARTICULAR TYPE OF SOUND. IN RANDOM ORDER (PP) IN NO PARTICULAR ORDER, SHOWING NO PLAN OR SYSTEM. LEAK OUT (V) TO ESCAPE. MAP SOMETHING OUT (V) TO DRAW A DETAILED MAP OR PLAN OF SOMETHING. OUT OF INTEREST (PP) DOING SOMETHING BECAUSE YOU ARE INTERESTED IN IT AND NO OTHER REASON. PASS OVER SOMETHING/SOMEONE (V) TO IGNORE SOMETHING OR NOT GIVE ATTENTION TO IT. SCRATCH A LIVING (VP) TO ONLY JUST EARN ENOUGH MONEY TO PROVIDE YOURSELF WITH THE MOST BASIC THINGS. SPARK SOMETHING OFF(V) TO CAUSE THE START OF SOMETHING. TAKE ON A CHARACTER OF ITS OWN (VP) IT IS SO INTERESTING AND UNUSUAL THAT YOU NOTICE IT BEFORE ANYTHING ELSE. TEASE OUT SOMETHING (V) TO MANAGE TO REVEAL SOMETHING THAT IS HIDDEN. TURN OUT(V) TO HAPPEN IN A PARTICULAR WAY. PREPOSITIONAL VERBS ARE A TYPE OF MULTI-WORD VERB. THEY ARE DISTINGUISHED FROM THE OTHER TYPE OF MULTI-WORD VERB –THE PHRASAL VERB- FIRST, BY THE FACT THAT THEIR PARTICLES ARE ALWAYS FOLLOWED BY PREPOSITIONAL OBJECTS SECOND, BY THE FACT THAT THEY DO NOT ALLOW OPTIONAL OBJECT INSERTION AND THIRDLY BY THE FACT THAT PARTICLES IN PREPOSITIONAL VERBS ARE ALWAYS PREPOSITIONS WHEREAS THE PARTICLES IN PHRASAL VERBS ARE ALWAYS ADVERBS. A PREPOSITIONAL VERB IS AN IDIOM WHICH CONSISTS OF A VERB FOLLOWED BY A PREPOSITION. A PREPOSITION LINKS NOUNS OR PRONOUNS TO OTHER WORDS IN A SENTENCE. THE WORD OR PHRASE THAT THE PREPOSITION INTRODUCES IS CALLED THE OBJECT OF THE PREPOSITION. AN ADVERBIAL PARTICLE MODIFIES THE BASIC VERB. 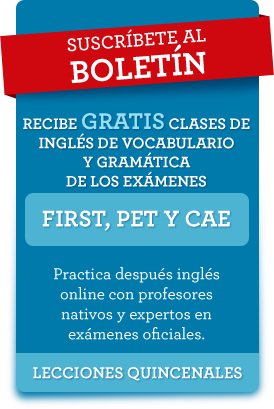 BOTH PARTICLES AND PREPOSITIONS EXTEND THE MEANING OF THE BASIC VERB TO CREATE A NEW MEANING. PREPOSITIONAL VERBS ARE TRANSITIVE: THEY REQUIRE AN OBJECT. THIS OBJECT IS GENERALLY STATED, BUT SOMETIMES JUST IMPLIED OR INFERRED. MOST PREPOSITIONAL VERBS CONSIST OF AN INTRANSITIVE ROOT VERB + A PARTICLE. SOME PREPOSITIONAL VERBS ARE FORMED BY USING A TRANSITIVE VERB AND A PARTICLE. OFTEN THE PARTICLE TANSFORMS AN INTRANSITIVE VERB INTO A TRANSITVE VERB. THE PARTICLE IS NOT REALLY PART OF THE VERB, BUT AN ESSENTIAL LINK BETWEEN AND ITS STATED OR IMPLIED OBJECT.